Do You Have the Special Sauce? When I’m doing a bad job posting on this blog Dr. Sandy always comes in clutch. This might be one of my favorite blogs she has ever written. Enjoy!!!!! Anyway, I love my Aunt Phyllis but I was really surprised when I first saw her because her skin looked so much older, wrinkled and duller than my mom’s skin. This really surprised me because all of my life, Aunt Phyllis was always known as the beautiful younger sister. I have decided it is time to convince Aunt Phyllis to start using the TNS-ES sauce. Those of you who know me know that I encourage everyone at a minimum to use TD&R and retinol. I love TD&R because it is a broad spectrum sunblock protecting against UVA, UVB, and infrared radiation in addition to repairing damage caused by radiation and the environment. Even my mom agrees this is a single product that does it all. My mom uses the tinted TD&R because it also acts as her makeup foundation. As for retinol, I would bet that EVERY dermatologist uses it in some form or fashion. Topical Vitamin A is the ingredient that has the most science to support its use to prevent aging, acne, and cancers of the skin. One cannot argue with science and results. I must admit however that I understood the science of TNS-ES and growth factors but have not promoted it to everyone. I know it is one product that has not changed its formulation in about 15 years. I know that once people start using this product, they continue to use it. It is not an overnight success story like a moisturizer (remember juice is temporary). By now hopefully you know that it takes at least 2 skin cycles or 2 months to create real change and improvement in the skin. Any product (not counting in office procedures) that promises results in less than 2 months is just a moisturizer or colored cosmetic. Real change takes time. If you don’t believe me, just think about any diet or exercise program—if you lose more than a few pounds in a week it is just water weight and will come right back—real weight loss takes time, dedication, and good food/ingredients. Real changes to your skin take time, dedication, and good ingredients. 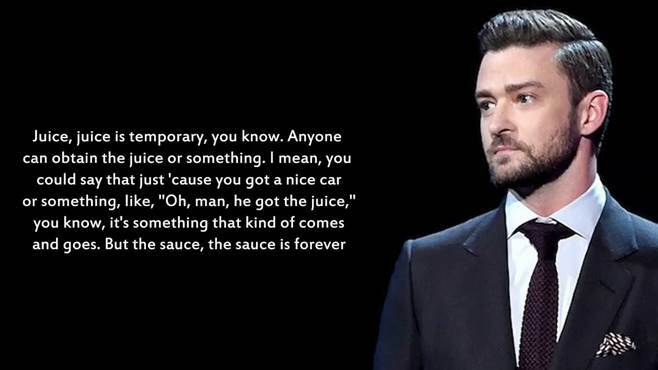 Juice is temporary but sauce is forever. After seeing the difference in skin tone, texture and brightness between my mom and Aunt Phyllis, I am going to advise everyone to add the secret sauce of TNS-ES to their regimen twice a day. In fact, I am going to send Aunt Phyllis some TNS-ES today since I love her that much. The combination of growth factors and antioxidants in TNS-ES is unrivaled. Online, TNS-ES has a 5 star rating and a 92% satisfaction rate. If you want to learn more about this product, come see one of our skin care experts for a complimentary consult. If you want to order some TNS-ES from us but do not want to come to the clinic, you can purchase it on our online store https://johnsondermatology.brilliantconnections.com/search?q=TNS&lang=en_US If you order it online, you will always get free 2 day shipping and gift with purchase. You can also sign up for a subscription service and save 20%. You can also order TNS-ES with some other of my favorite products in a package system. May your life be like a good wine… tasty, sharp, and clear. Like a good wine, may it improve with every passing year. Salute!